People help carry an injured man to the hospital following a suicide attack in Kabul, Afghanistan, Saturday Jan. 27, 2018. The Public Health Ministry says over a dozen were killed, and over 100 wounded ina suicide car bombing in downtown Kabul. A suicide bomber driving an ambulance killed at least 95 people and wounded 158 more in an attack claimed by the Taliban in the Afghan capital Kabul, authorities said. 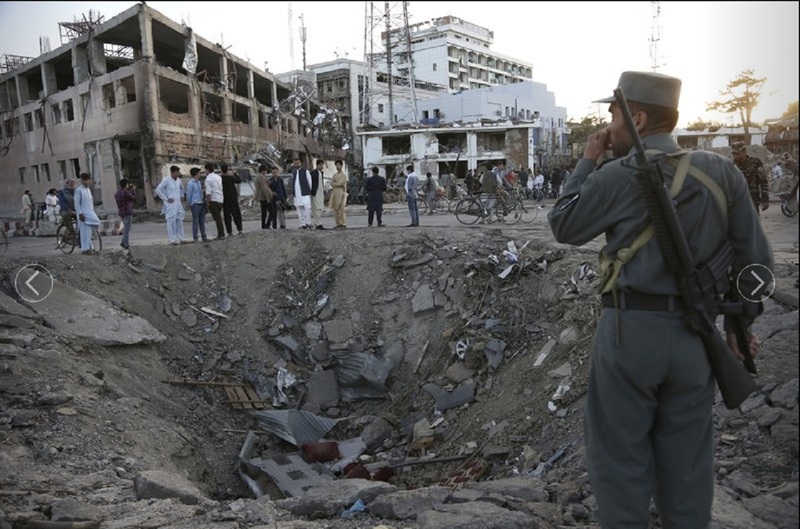 The bombing Saturday came just a week after Taliban militants killed 22 at an international hotel in the city. The Health Ministry said 95 were killed and 158 wounded. 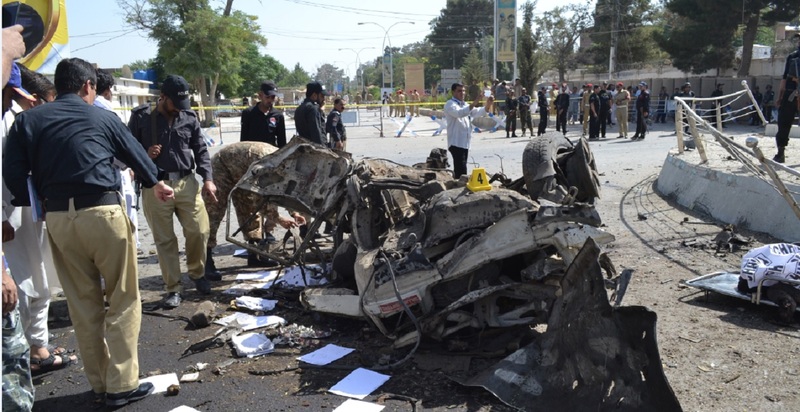 "The majority of the dead in the attack are civilians, but of course we have military casualties as well," Rahimi said. He said four suspects had been arrested and were being questioned but he didn't elaborate. 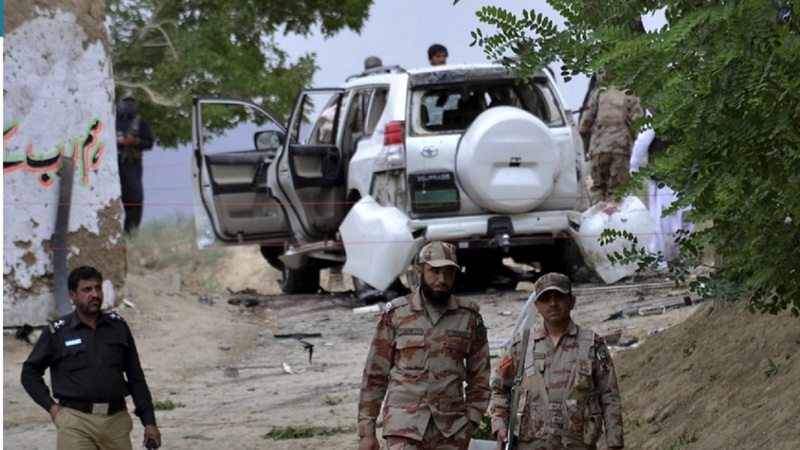 Zabihullah Mujahid, a Taliban spokesman, claimed responsibility for the bombing, which sent thick, black smoke into the sky from the site near the government's former Interior Ministry building. Also nearby are the European Union and Indian consulates. 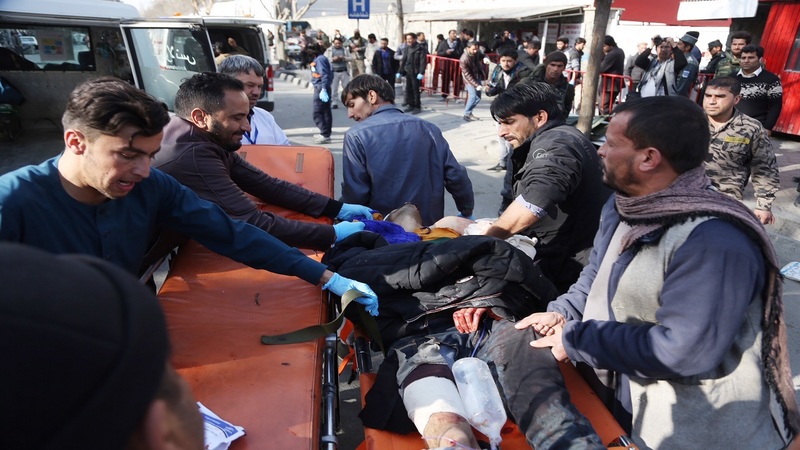 The International Committee of the Red Cross condemned the attack in a tweet, saying: "The use of an ambulance in today's attack in #Kabul is harrowing. This could amount to perfidy under IHL. Unacceptable and unjustifiable." President Donald Trump has pursued a plan that involves sending thousands more U.S. troops to Afghanistan and envisions shifting away from a "time-based" approach to one that more explicitly links U.S. assistance to concrete results from the Afghan government. Trump's U.N. envoy, Nikki Haley, said after a recent visit to Afghanistan that Trump's policy was working and that peace talks between the government and the Taliban are closer than ever before.